Dental implants in Seaford are offered by a qualified cosmetic surgeon; thus, take the benefits of the procedure only from the certified dentist. Once you consider your smile imperfect due to the uneven, misaligned, chipped or cracked teeth you have, then one of the treatment options you can consider is dental implant procedure. You may be wondering if you can have dental implants in Seaford. The best person to answer if you qualify is the cosmetic dentist who is expert in performing dental implants. 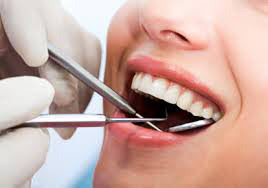 In the very first place, you need to seek a certified dentist specializing in cosmetic dentistry since implants are among of the services he or she can offer. No one can tell you can qualify for dental implants unless the dentist tells you after series of check-up. For you to ensure that you only can use the services of a certified and licensed cosmetic dentist, you can ask your co-workers and friends for recommendations and or your general dentist for referral. You can also search the online directories and the yellow pages for cosmetic dentists near your location. Try also checking on the American Association of Cosmetic Dentists and other reputable professional medical organizations for members who have clinics proximate to your home or workplace. Your doctor will tell you that you are a candidate for the dental implants in Seaford if it is found out in the check-ups through x-rays and intraoral photos that you have healthy gums. You must be free from gingivitis and other periodontal diseases and the bones are adequately intact in the jaw. If there are issues on your gums tissues or jaw, your doctor recommends treatment of the gum or bone problem first before you can submit yourself for implant. There is a need for the gums to be healthy because the implant will be surgically inserted. You should be very happy if you will be scheduled for the dental implants in Seaford for this just means you can benefit the comfort implants can offer. Gone are the worries of having your dentures slip away in the gums while you are chewing foods or while you are talking. In some instances, dentures are giving you unnatural looking teeth because the shapes, color and sizes are very much different from your original teeth. Dental implant does the opposite from dentures or false teeth. Dentures are removable and can easily move in the mouth. You have to detach it from the gums when you will perform oral cleaning. However, with dental implants, you can clean, brush, floss them like your natural teeth. Thus, if your oral health condition permits, dental implants in Seaford are best options other than dentures and bridges. Look for a dental clinic that will assure you of top notch dental implant services. The right clinic gives you a dental implant with natural look, suited to your needs, are durable enough to be used in eating and will never give you discomfort while you are talking.